Workforce capabilities are increasingly being seen as critical to achieving the agility needed to respond to major disruption, automation and new employment models. Yet HR leaders, with their broad overview of the whole organisation, remain largely absent from the boardroom. "HR on board?" 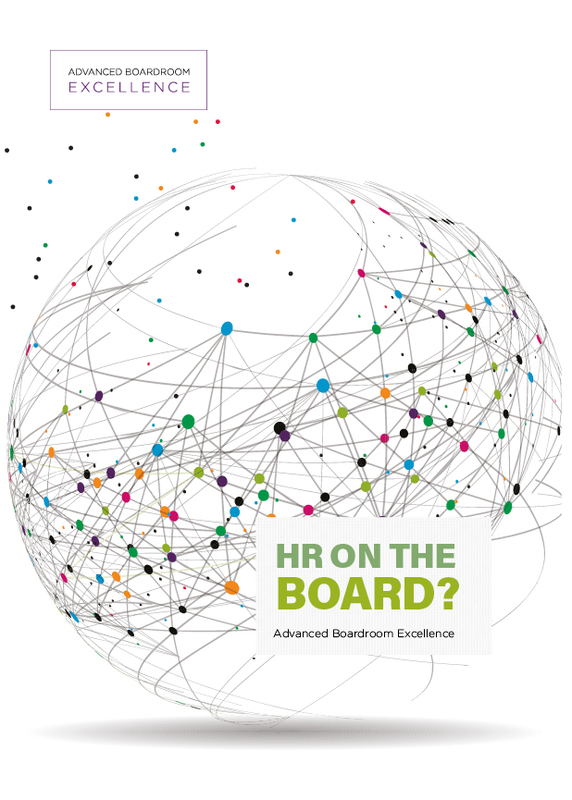 is a research report from Advanced Boardroom Excellence to explore the reasons why HR are not being seen as board players. The report covers interviews with 96 individuals, including company chairman, chief executives, non-executive directors, chief financial officers, HR directors, search consultants and academics. Many respondents felt HR directors lacked the business acumen and strategic thinking capabilities needed at board level. However, even respondents who did not see HR directors as board players mostly recognised the value of their skills, especially their high levels of emotional intelligence and ability to handle difficult issues in a mature way. Having unpicked the reasons for the absence of HR from boards, the report offers guidance on how boards can best leverage HR's expertise. If you’d like to find out more about our research or the services we offer, please contact Jackie White at jackiew@abexcellence.com.